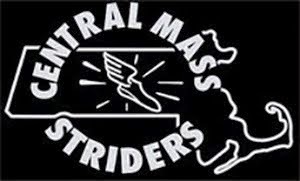 The Central Mass Striders masters team (40+) finished third out of eight teams that competed in the New England Cross Country Championships at Stanley Park in Westfield, MA. The race was held under sunny skies in the mid 40's. The third place finish was their highest finish since 2009 where they finished 4th out of 12 teams. 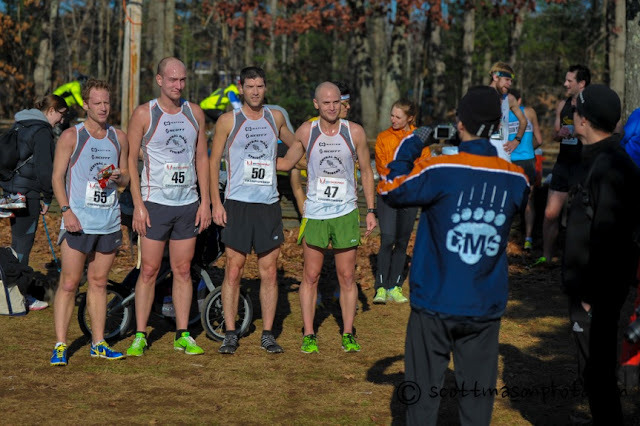 The masters were led by Greg Putnam (4th overall, 26:43) - just twenty four seconds behind winner, Mike Nahom, who led the Greater Springfield Harriers to the team win. 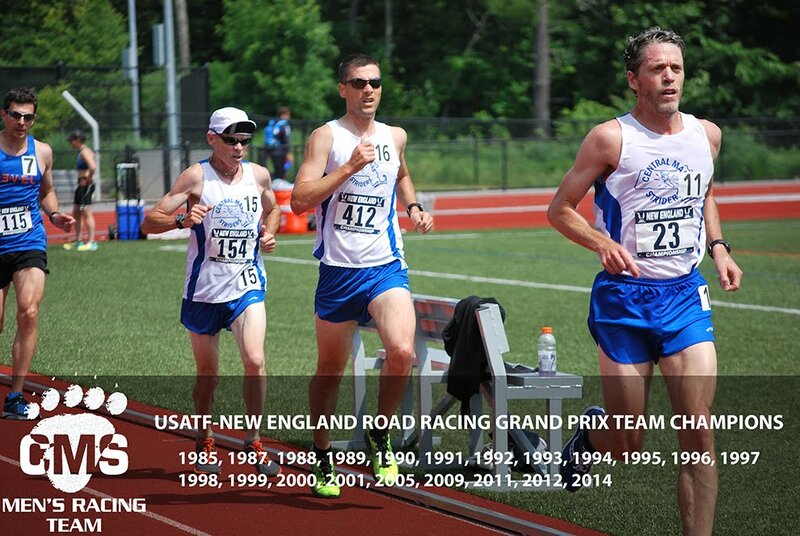 Dave Dunham and Joe Shairs dueled throughout to finish 13th and 14th overall while breaking 28 minutes. Greg Ward finished strong in the last mile twenty seconds later in 20th while Dan Verrington capped off the scoring seven seconds later in 22nd place. Arthur Besse and David Mingori came on strong down the final stretch, getting in front of competitors for displacement, finishing 31st and 42nd. Tim Mallard closing on the finish. The men’s open team finished 11th out of 11 teams. 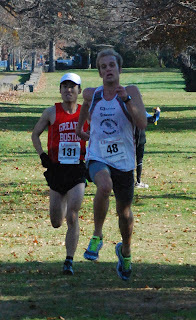 Jim Pawlicki finished in 76th place with a time of 27:33. Ten places later, Timothy Mallard crossed the line in 28:29. 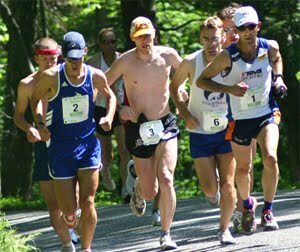 Tim Mahoney followed up 11 seconds after with a time of 28:40 while Sam Wood turned the corner for the home stretch and finished in 29:10. Thomas Brown closed out the scoring for the open team, crossing the line in 30:47. The team raises a pint glass to Thomas for ensuring the team scored the critical five to account for a full team.